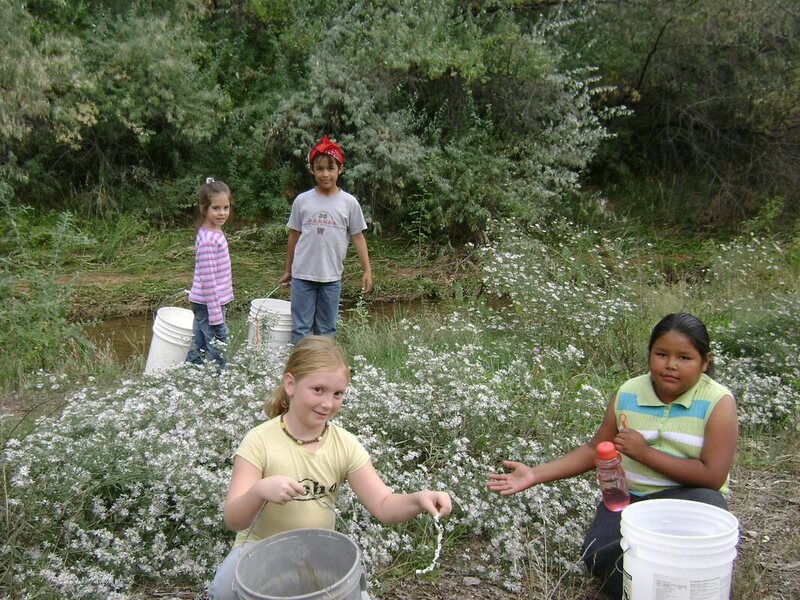 Moab Solutions started Friends of the Parkway in August 2004 in partnership with the City of Moab. The project goal was to get all 5+ miles of this beautiful in-town trail system and its spur trails adopted by groups that would remove recycling and trash from small sections of the trail and the creek and alert us to any issues like dumped furniture, graffiti, and the like. Little did I realize, when we started this project, that it would change my life completely. For it was while doing cleanups in certain areas of the parkway, places where we were removing 40 gallon bags of alcohol containers, weekly, that we discovered the hidden population of Moab's homeless. 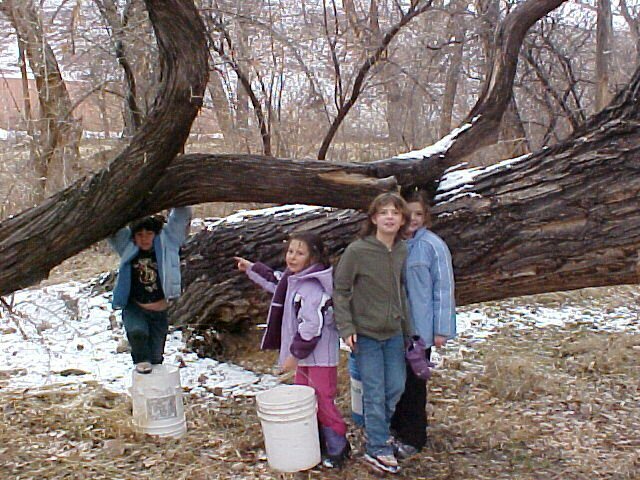 We decided to ask them if they would like to help us clean up the trails and streams in exchange for a small payment. That started a weekly meetup that would last 5 years and would broaden out to the greater community. Every Thursday, I would drive to the parkway to pick up the recycling that the (mostly) men collected and which they learned how to sort. In the process I was able to earn their trust and learn how they ended up where they had ended up - living along the creek year-round. We eventually got everybody off the parkway - into housing, reunited with family, into rehab programs and more. Everything I know about street level homeless outreach, case management and substance use disorder came from those years of intense contact. Our work with the homeless continues to this day. For details, visit our Homeless Assistance page. Plans to expand the program to include a free lecture series, using the Parkway for inspiration, are ongoing. ​Irene Neumeister and Lynette Clark exemplify all that is beautiful about community. Irene loves walking the parkway, and starting in 2015 did some trash pickup and occasional weed removal. Then she and Lynette teamed up to get serious about improving the ecosystem of the parkway. Working with the blessing and gratitude of the Youth Garden Project, they started removing weeds and any trash/recycling they came upon from the area of the parkway around the YGP and at Rotary Park. They spent at least 50 hours removing hundreds of invasive plants in 2017. With the weeds removed, the native plants began to thrive. In 2018 I had the pleasure of meeting Irene. To my delight, she and Lynette decided to become Friends of the Parkway. They spent over 100 hours during the year removing weeds and hauling them to private property nearby, where the weeds were used to build up the land and create trails, through Jeff Adams and his business, TerraSophia. Jeff was kind enough to view the work area and advise on the best way to remove weeds without impacting the banks of the creek. ​I helped haul a little and helped weed a little, but Lynette and Irene are a force of nature when it comes to this work! 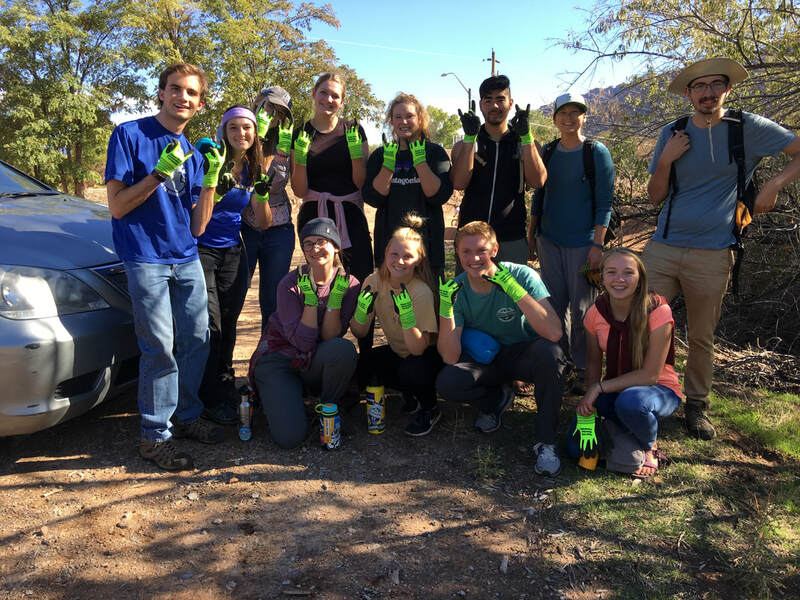 Irene joined in with Moab Solutions on another section of the parkway in late October of 2018 when a group from USU Logan came to Moab on fall break and wanted to help out. We removed huge weeds that were covering a trail, widened the trail, and pulled loads more weeds. That path is still open and functioning well. We are thrilled at all the intersecting relationships and how they all benefit the health of the earth, in one way or another. Thanks Irene and Lynette! USU Logan students on fall break, helping improve a trail and pull weeds. Thanks! Erin, from the Moab Quaker Meeting group was inspired to write this poem after doing a cleanup way back in 2007! We keep it clean and not so messy. To pick up litter both non- and re-cyclable. Now the path is clean and pristine. We love to see people inspired to write poetry after doing a cleanup! It’s one of the many benefits of doing this sort of work. To share how the Parkway inspires you, or to get involved in a Parkway cleanup, contact us here. 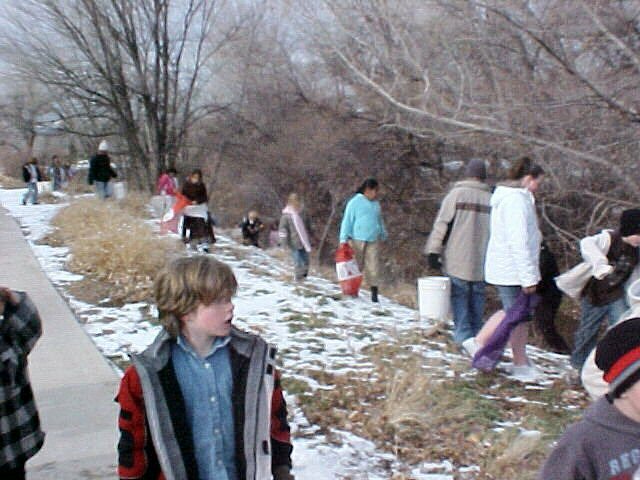 In 2007, Moab Solutions volunteers started working with the Moab Charter School once a month to do cleanups on the Parkway near the school. This went on for a couple of years. The school still does cleanups from time to time - especially around Earth Day, when we all get together to celebrate the beauty of the cleaned up land. To view a slideshow of how local homeless people do cleanups as "The Parkway Partners," click here. One of the entrances to the parkway.